Weston Airfield in Weston-super-Mare will be brought to life by re-enactors and historic vehicles from around the country this weekend (7th and 8th April). 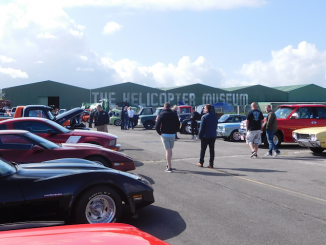 The Helicopter Museum’s annual ‘World at War Weekend’ sees living history camps set up on the land surrounding the airfield’s recently restored WW2 era control at the museum. Historic aircraft are due to land at the event on both days including the world’s last flying ‘Whirlwind’, the UK’s only registered ‘Alouette’. Plus there will be an opportunity to sit in the cockpit of one of the most iconic military aircraft of all time – the Vietnam ‘Huey’. Blesma, The Limbless Veterans, will be the event’s centre-piece charity with many other military charities and associations also attending including the Royal British Legion and Help for Heroes. The show is known for attracting incredible military veterans as special guests which this year include the last surviving Dambuster George “Johnny” Johnson, one armed motorcycle racer Chris Ganley and Invictus Games athlete Corie Mapp. Over 100 re-enactors and 50 military vehicles are expected to support the event and the museum’s hangars will be filled with military exhibitions to ensure an all-weather event. Popular musical trio The Cat’s Pyjamas will be adding some Doo-Wop and vintage fizz to the weekend during a live Sunday afternoon performance and there will be a number of vintage and militaria trade stands. 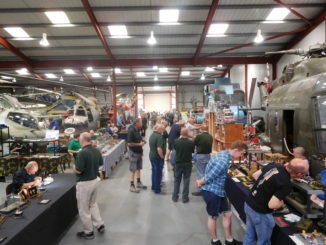 The Helicopter Museum is a registered charity (no 281053) and home to the world’s largest collection of rotorcraft; the World at War Weekend is its biggest fundraising event each year. 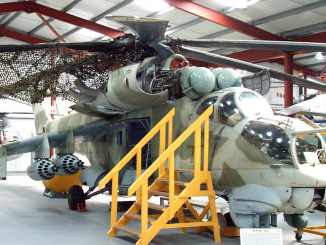 The museum’s collections includes two of the Queen’s Royal Flight, ‘Hind’ Russian Gunship and world speed record holder G-Lynx. World Helicopter Day on Sunday 19 August!